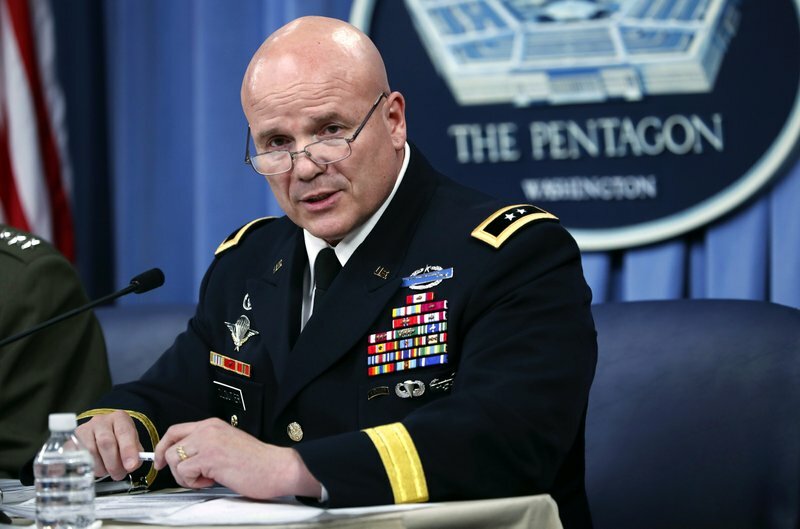 “The direct cause of the enemy attack in Tongo Tongo is that the enemy achieved tactical surprise there and our forces were outnumbered approximately three-to-one,” Maj. Gen. Roger Cloutier Jr. told reporters during a Pentagon press conference. The Americans who were killed “gave their last full measure of devotion to our country and died with honor while actively engaging the enemy,” the report said. None were captured alive by the enemy, and all died immediately or quickly from their wounds, it said. Navy Capt. Jason Salata, spokesman for Special Operations Command, said a full review of the report has begun and “we are totally committed to resolving every issue addressed” in it. “We are now far more prudent on our missions,” said Waldhauser, who sat alongside Cloutier, Africa Command’s chief of staff who led the investigation. The summary lays out a confusing chain of events that unfolded on Oct. 3-4, ending in the ambush, and points to “individual, organizational, and institutional failures and deficiencies that contributed to the tragic events.” But it concludes that “no single failure or deficiency was the sole reason” for what happened. Waldhauser called the mischaracterization of the mission unacceptable, but Cloutier rejected suggestions the team leaders lied. It’s not clear if those two are among the three service members he said could face discipline. When the Ouallam team got to the location the insurgent wasn’t there. Senior commanders, unaware of the team’s earlier actions, then ordered the troops to serve as backup for a second team’s raid, also targeting Chefou. That mission was aborted when weather grounded the second team. The Ouallam team members were then ordered to another location to collect intelligence also linked to Chefou, which they did without problems. On their way back to their home base they stopped at the village of Tongo Tongo to get water. Soon after leaving Tongo Tongo, about 120 miles (200 kilometers) north of Niamey, Niger’s capital, they were ambushed by Islamic State-linked militants carrying small arms and machine guns. The other American fatality, La David Johnson, and two Nigerien soldiers got separated from the others during the battle and were gunned down. Johnson’s body wasn’t found until two days later. All were stripped of weapons and equipment. “The whole thing was a screwed-up mess,” said Arnold Wright, father of Staff Sgt. Dustin Wright of Lyons, Georgia, who was killed in the attack. Wright said he’s concerned the Army may be pinning blame on lower-ranking soldiers and not accepting responsibility high enough up the chain of command. Wilson became embroiled in a political squabble with President Donald Trump after he told Johnson’s pregnant widow in a phone call that her husband “knew what he signed up for.” Wilson was riding with Johnson’s family to meet the body and heard the call.